We hear it all the time — Is this AI thing for real? Can it actually help my business or is it just the latest buzzword? We get it. The way businesses engage with customers seems to be changing at the speed of light. One minute the must have channel is live chat, the next it’s Facebook Messenger and now you need both of those, but a robot should be there answering questions when they can. 1.) Better Customer Experiences: Today’s customers are fickle. They want every engagement to be personalized to them and if there is an issue or question, the expect immediate resolution. They also have very little patience for companies who cannot deliver. As new channels emerge, customers are engaging at rates the agent can’t possible keep up with. AI is helping make engagements both personal and efficient – leaving customers not just satisfied but delighted by the whole experience. 2.) Happier Agents: Let’s face it, the life of a customer service agent is hardly a glamorous one. If they aren’t answering the same basic question over and over (where’s my package, how do I reset my password, etc.) chances are they are taking the brunt of an issue that is likely not their fault. AI is helping take the mundane load off, so agents can take less of the repetitive queries and use their people-skill talents for conversations that add strategic value to the business. In addition, AI is helping them on the backend provide the personalized customer experience that turns frustrated customers into advocates. When agents feel equipped to do their jobs, their confidence rises—and so does their productivity. 3.) Affordable Scalability: Did you know that a chat conversation with a live agent costs a company an estimated 6x more than a conversation with a chatbot? While the human component is still a critical component for customer service, AI is helping companies ensure their most valuable resources are being used where they should be. Additionally, AI helps companies offer more channels and scale their customer support organization without having to put additional strain on existing call centers or adding more resources. 4.) Actionable Insights: Customers connect with brands a thousand different ways today. It can be really difficult to truly understand the journey they are taking, where they may be falling down, and where companies should dedicate resources to make the experience better. 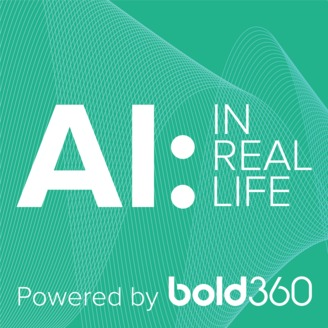 AI is helping bridge the divide by organizing data across thousands of interactions and drawing insights about their customers’ wants and needs from previously disorganized, voluminous data. As engagements continue to grow, this will become an essential tool in creating and continuing to refine a world-class CX strategy.